Whether you need to video conference from your computer or keep in touch with employees, a webcam is a useful device for small businesses. In fact, most laptops come equipped with a webcam. Though, they aren’t always the best quality. For HD video and clear sound, you’ll want one of these top 10 best webcams for small businesses in 2019. These webcams include a mixture of desktop webcams and hidden surveillance webcams for keeping an eye on your small business. Featuring a striking versatile design, this camera is full of premium unbeatable features. It captures videos in 1080p and 15MP images. Logitech C920’s autofocus system provides clear images and videos even when you are moving around. Additionally, it is integrated with facial recognition technology that keeps you in focus even with other things in the room. And if all that is not enough, the camera has a universal base that can be set up in different ways according to your needs. You can set it up easily on a tripod or on your monitor. Despite the great features, the audio quality is not as good. The camera also has a limited 78 degree view range. This high quality inexpensive camera features eight individual 940nm infrared LED’s that turn on infrared automatically in the dark. This allows you to take high quality 1080p videos at up to 15 fps any time of day or night. Additionally, it has a 2 way audio that enables you transmit and receive audio but with a Wi-Fi connection. The YI app allows you to access your camera anywhere anytime and you can share your images and photos with 5 friends and family and view multiple cameras at once. It also features motion and baby crying detection features that sends notifications to your phone. Moreover, it also allows you to upload your files to the YI cloud. Compact size and highly versatile, this camera has an aluminum body that adds to its durability. Clear frame technology provides clear high definition videos and the noise cancelling microphone gives very clear audio. It captures HD videos in 720p at 30 fps even in low lighting but this is lower quality than other HD cameras. The flexible stand allows the camera to be mounted on different surfaces for perfect recording. Unfortunately, one computer cannot use more than one camera and the poor quality microphone produces static noise. 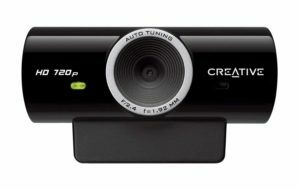 Aimed at providing high quality recording for a cheap price, this camera boasts of 720p recording, streaming, and allows you to upload to video sites. The TrueColor technology ensures bright quality videos and images every time. Its noise reduction technology guarantees that clear voices and audio are captured. The widescreen allows for a broader view and allows for cinematic recording. Its universal attachment base allows you to attach your camera on your PC, MacBook, or tripod. It is compatible with Windows Operating Systems from Windows XP to Windows 10. However, this camera only records in 720p. This camera is especially known for its high quality audio compared to bigger brands in the market. Its microphone cancels background noises to give unadulterated sound quality and voices. It captures videos in 720p at 30 frames per second which does not produce the best quality compared to full HD ones. If you like sharing your videos and photos online easily, this is a great option for you. With a single click, this cam enables you to upload your files on YouTube and Facebook quite easily. However, the Creative Live Cam Sync does not offer maneuverability since you cannot attach it to a tripod, tilt, or pan it. Equipped with a 720p lens for clear videos and Wi-Fi configuration, this camera can be used at work, home, or a warehouse. It has 12 built in infrared LEDs for night vision and motion detection and sends motion alerts to your phone app or email. It allows you to zoom, pan, and tilt with a 120 degree wide view combined with a 110 degree vertical rotation and 355 degree horizontal rotation range for maximum surveillance. The 2 way audio allows you to hear and speak back to the person near the camera. It is easy to install and one device can connect up to 64 cameras giving you a wide range of view of activities around your business. This camera allows cloud service and can support a 128GB TF card but it is not included in the package. Aside from its remarkable design, this camera is very versatile, easy to set up, and has several mounting options. It has a 120 degree view range that allows you to move freely without leaving the frame. It can capture still 12MP photos HD videos in 1080p at 30 frames per second but images become grainy as you push the framerate. Background noises are locked out providing crystal clear audio. The manual focus allows you to focus on a specific item by twisting the lens ring. Plus, it comes with a 5 foot long cord that allows you to set it up wherever you want it. With all these amazing features however, this camera is lacks digital zoom, face tracking, and takes poor images in low light. This easy-to-use camera captures videos in Full HD 1080p and has a HD camera CMOS sensor that offers excellent quality images and full color when recording, and calling. It features a manual focus function for increased control of what you want to focus on. The built in microphone cancels background noise making the audio clearer. This HD webcam has an aluminum body for increased durability and a flexible stand for any desktop and notebook PCs. 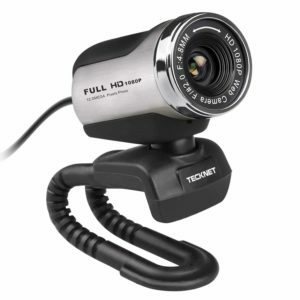 No drivers need to be installed to use this camera and it is compatible with Windows 2003 to Windows 8, Android V 5.0 and above, and Chrome OS. C270 provides smooth HD 720p videos and 3MP still images with a 16:9 wide screen to give a larger view and capture high-quality videos even in low light. Logitech fluid crystal technology ensures that you can capture smooth images, sharp videos with more detail, natural colors, and clear sound. Its universal design allows it to clip securely on any monitor or laptop and the in-built microphone reduces background noise for clear audio. Logitect C270 is very fast and is compatible with a range of devices and operating systems. Capturing images in HD 720p, the lens on this camera offer 360 degree coverage with its 115 degree vertical rotation, and 345 degree horizontal rotation ranges. Night vision is enabled using its eight 940nm built in infrared LED lights with zero light pollution. YI app is compatible with both Windows and Android, thus allowing easy sharing and customization in addition to giving motion alerts. 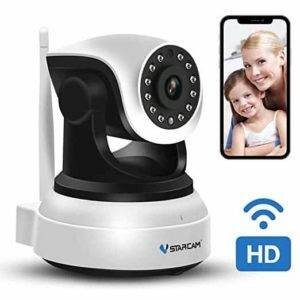 You can connect several devices for maximum surveillance. Additionally, you can upload your images and videos on the cloud using Wi-Fi anywhere and anytime. In the end, this your best option for adding webcams to your business. 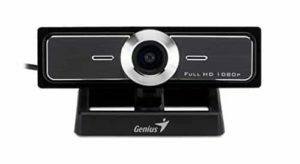 Whether you need webcams for video conferences or business security, this HD webcam has you covered. With the top 10 best webcams for small businesses in 2019, you can’t go wrong. All the cameras featured on this list record at 720 or 1080P high-definition or better. But, as you start narrowing down your options, consider the features that are essential to your daily business operations. This could include mounting options, Skype certified cameras, and swivel mounts. In general regular home users do not buy a webcam mostly because all gadgets already have one. It is a default accessory built-in laptops, tablets and smartphones. For businesses, buying webcams is more of a common practice mostly because the laptop ones have bad resolution and poor image quality. The vast majority of webcams available on the market are viable for commercial use but not all of them come with HD or Full HD resolution. We went ahead and selected several webcams that are perfectly fitted for businesses. Here are the top 10 best webcams for small business in 2017. The HuddleCam-HD PTZ is one of the more expensive models. It is quite large for a simple webcam but it comes with several bonus features. The model offers an optical zoom of 3x and supports Full HD recording. It has its own built-in microphone and can be panned and tilted using the included software. The model works with any PC or laptop that comes with USB 2.0 or newer ports. 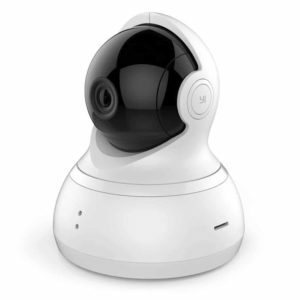 It can be used for video conferences and calls as well as for monitoring purposes. The Genius WideCam F100 is a simple cam that comes with a powerful sensor and a simple design. It has a 120 degree lens and supports 1080p recordings. The model can also be used to take simple photos using its 12 megapixel interpolation mode. It includes a 1.5m cable and can be connected to regular USB ports. It can be used for conferencing and video recordings such as monitoring. 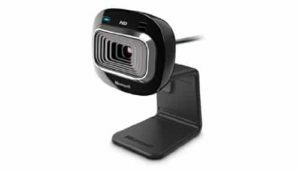 Logitech’s BCC9050 is a great conferencing webcam. It is a premium product that comes with a higher price tag that most other models. Inside the package users will find the camera itself, a remote and the installation software. It has a high quality CMOS sensor and an omnidirectional mic. It can be controlled using the remote or using the controls on its base. The model offers a lot of flexibility and can be used for a wide range of applications. The Creative Labs VF0490 is a budget solution for businesses that do not have a large budget for conferencing equipment. It is a simple cam that supports video resolutions of up to 1280 by 960 pixels with a compact form factor and an easy to use software. For added convenience the model includes a built-in microphone with noise cancelation technology. It includes a one year warranty and all the required software to start using it in just a matter of minutes. 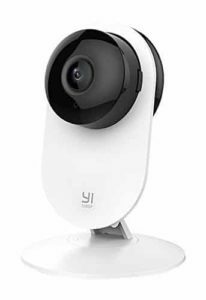 Logitech HD C270 webcam is a simple model that offers basic functionality for a modest price. It has 720p recording capabilities. Due to the fact that it uses a 3 megapixel sensor it is able to record fluent videos. It includes a noise-canceling microphone as well as a light correction sensor. The model is compatible with computers and laptops running Microsoft Windows and works with most communication applications. 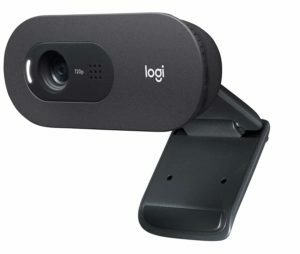 The C920 webcam from Logitech is a mid-range model that offers high quality video feeds and premium focus. It is capable of recording fluent videos at 1080p and is compatible with most modern communication applications such as Skype and Gmail Voice. The model also comes with additional features such as fast uploads to Facebook or YouTube and it includes a software kit that makes it very easy to use. Brother NW1000 is a great webcam for office usage. The model was made to be used in an office environment that requires high quality video feeds. It supports Full HD image quality and can be used to take pictures as well. The model makes use of the latest H.264 compression technology and comes with lenses with auto focus. It is an easy to use model that requires almost no software to be installed in order for it to work. 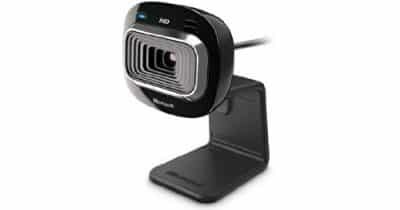 Logitech HD Webcam C525 is a decent option for businesses that have a tight budget for conferencing equipment. It is a compact and portable model that supports HD video recordings and a widescreen aspect ratio. The lenses come with smooth autofocus and a light correction sensor. It has a 360 degree rotational camera and a foldable design that makes it a great pick for travelers. 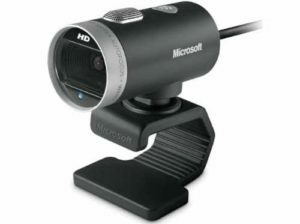 The Microsoft LifeCam HD-300 is one of their most popular models for both regular home and office users. It can work just fine in a business environment with the aid of its capability to record HD videos and smooth autofocus. The model is also quite affordable and reliable. It has a simple base that can be adjusted to work with both laptops and desktops and features TrueColor Technology. 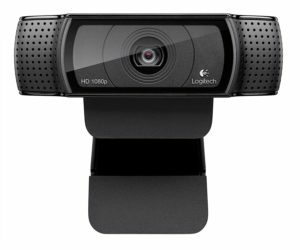 Logitech Webcam C930e offers the perfect balance between quality and price. It is a premium model that offers Full HD recordings at 30 frames per second and a versatile software package that makes it work with both Windows computers and Macs. It is a plug and play model that has been certified by Microsoft for Lync and Skype thus further enforcing the fact that it was made for small businesses that need affordable conferencing equipment. Small businesses usually have a limited budget when it comes to investments in new equipment. Communications are important for everyone and small companies require something more than a simple built-in webcam. Our top 10 includes models from all price ranges that are perfectly suited for office usage and conferences at high video resolutions.